On September 16, 2017, I became married to my handsome husband and best friend. 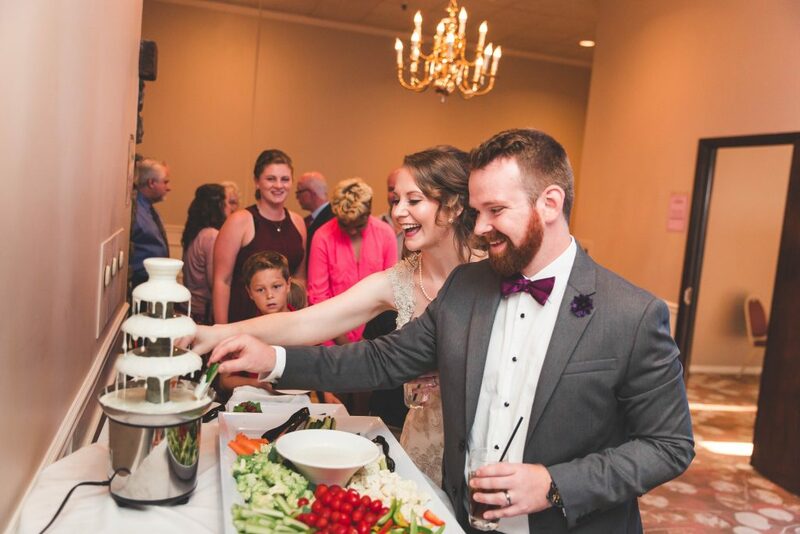 We said the vows, danced to some favorite songs, and enjoyed our ranch dressing fountain. It was a statement of our love for one another and devotion of our lives together: for better or worse, richer or poorer, in sickness and health. I still can’t stop looking at wedding pictures and reminiscing about the best day with the most wonderful man. October 17, 2017 is when I had a tonic clonic seizure. It was the first one in over a decade, and the first my husband has had to witness. All of a sudden, our wedded bliss was turned into a test of our vows. I never doubted the dedication to one another, but it’s difficult to be happy with life when it’s turned upside down. My medications began to change, bringing new side effects and new worries. My license was taken away, which threw my job into question, as it is one of the requirements. Matt was constantly worrying about my well-being, wondering when or if I would have another seizure, if the medication was working, what each odd movement or sound might mean as it relates to seizures, what testing would show, and how it changes his role. One of the things that I love about my relationship with Matt is that we are partners. We support each other constantly and face life head on, hands held and heads up. Whatever we face, we face it together. But this left us on unequal footing. It was devastating to me to have a seizure and have my world rocked. Fortunately, I’ve been through this before. I’ve switched medications, gone through all of the tests, explained my experience to doctors, been on hold with the insurance company, etc. I know how to take the situation and deal with it by pulling emotion out and putting logic in. Dealing with this event was hard to face together, head on, because I was much farther ahead than he was. Again–I’ve been through it before. He hasn’t. It was really hard. We haven’t been tested in this situation. And, in just over the first month of marriage?! Come on, it seemed truly unfair. Honestly, in a way, it still does. Every change in medication, every weird stomach pain and headache, every EEG & MRI result is a test for us, individually and as a couple. But, every day I don’t have a seizure is a joy, causing us to celebrate in a new way that we didn’t have before. We have always been thankful that I had controlled seizures and never taken it for granted, but these celebrations are a bit more meaningful. Epilepsy is tough for everyone involved. It changes life for those closest to it. The great thing about love, though, is that it overcomes all–even epilepsy. This happened to my husband and I, three months after we were married. Only, we had moved four hours from friends and family, didn’ t know where the hospitals were, and had know idea what was happening in the middle of the night. That was almost 45 years ago. My husband’s gran mal seizures have been totally controlled for over 25 yrs. but, those first years were the hardest for both of us. There is a light at the end of the tunnel! This is so encouraging! I’m happy to know there are others who have gone through and can help.